The following field reports are an overview of a grassroots clearing program underway in cities around the world to reduce atmospheric and water pollution. The unexpected side effects of reduction of crime, changes in weather patterns, and earthquake activity indicate the tremendous opportunities we have of working co-creatively with Nature. The approaches used are simple and yet profoundly effective. The results listed here have been achieved without any governmental support or funding, by individuals and groups with less than three days training. They represent the combined efforts of using a quantum "eco technology" to shift the hologram for the Earth in the affected area by working co-creatively with the spirit of nature and by applied conscious intent. The intent in all cases has been to restore the area to its archetypal pattern and blueprint of creation. See the latest results of the efforts to help shift the matrix for the Gulf! The results were produced by a combination of using the environmental harmonizer and the companion sound frequencies , combined with ceremonies to clear distorted earth energies by working co-creatively with the spirit of nature. In many of the cases documented below, orgone was placed at key grid points to clear the energy of the leylines and powerpoints. This represents a coming together of modern technology and ancient ceremony - a meeting of science and spirituality, which I believe holds the answer to many of our most vexing global problems. joining the Earth Response Team teleclass series starting September 15th. To date, since Slim Spurling and Drunvalo Melchizedek's first experiment in Denver and Phoenix , there are now over 25 different cities around the world that are sponsoring grassroots environmental clearing programs in their local areas. Highlights of some of the results are listed below. This project was one of the first to use the devic assistance and conscious effort to at a holographic reprogramming. Ceremony was performed at the Salton Sea by two individuals, Ann Meril and Christan Hummel. The involved a co-creative interaction with the devic life of the region, activation of power points in the area, a geopathic clearing session and a short session with the environmental harmonizer. The results have been holding for more than 10 years. This began in January, 1998 with one harmonizer and geopathic clearing. Prior to the project, there were hundreds of dead fish and birds due to the extreme pollution in the sea. 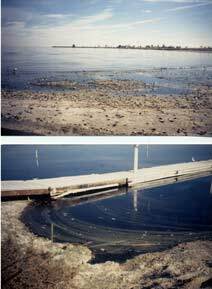 Three months after the clearing dead fish and fowl smell were gone, water turned from dark brown, to clear bluish. Birds returned to the area after the clearing. Fishing reports showed excellent catches. 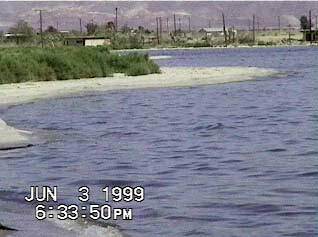 In June, 1999 follow up clearing was done and photos show the clarity and condition of the water and shoreline afterwards. Other than the clearing efforts of the harmonizer and the geopathic clearing, no governmental or other clean up action was taken in the area during the entire time. Recent photo (2009) shows continued improvement with bird life returned to the area, live fish in the water, the shoreline clean and free of dead fish, and the water clear and blue. The sea isn't dead yet! I saw 4 guys bringing in talapia almost as fast as they could reel it in and cast out again! You can watch pelicans gobble them down right and left! This was at the visitor park right before corvina beach, think it was called mecca? Caught like 35+ Tilapia in 2 hours. Sometimes I would hook one 30 seconds after casting my bait in. Lots of fish and lots of fun. This program began in March of 1997 with 15 harmonizers throughout the greater San Diego County area. Geopathic clearing was done for major cities in San Diego in February, 1998 and has been ongoing until 2009. During 2000, a team of over 18 people formed a special medicine wheel for the whole of San Diego county using orgone, the devic ceremonies, and the harmonizers to activate a blueprint within the land called "Metatron's Cube." Crime rate has dropped 35-50% within three months of geopathic clearing of cities. Pollution standard index (PSI) is down from an average of 60's to 30's. Weather patterns are more moderate. El Niño did minor damage while harmonizers were operational. Only damage was during time of harmonizers being shut down (January '98 - Feb '98). Red tide went away when it appeared in Southern CA within two weeks. Water turned teal green from a reddish, brown. Fishing reports were at their highest level in decades. April 5th, 2010 earthquake of magnitude 7.2 news said that there were no reports of serious damage or injury in ALL of San Diego County. The initial test program for the environmental harmonizer. Performed by Bob Dratch, Slim Spurling and Bill Reid using only the harmonizer technology and the Swept Clear CD. Program began in March, 1994 with 10 harmonizers. 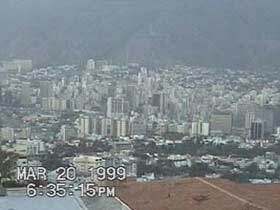 Program was dismantled in 1998. During the time when harmonizers were operational, pollution levels decreased to all time low. Program began in May, 1999 with 5 environmental harmonizers and is still in place at this time of writing. During time of the program whales were spotted in the Auckland Harbor Crime rates have dropped 50% from previous year. Program began in September, 1999 with 7 harmonizers. Geopathic clearing was done for the city in September. Four months after program was initiated, deaths due to drug use dropped 25% only in Frankfurt, while it rose in other surrounding areas. Pollution levels also down by 35%. After Metatron's Cube ceremony with harmonizers, more than 15 chem trails overhead were cleared within 30 minutes. Program began in May. 1996 with three harmonizers. Pollution levels in the Cape reduced dramatically and dramatic increase in marine life in the area, including whales which had not been seen there before. Program began in November, 1998 with 20 environmental harmonizers. City has 20 million people and was very polluted. 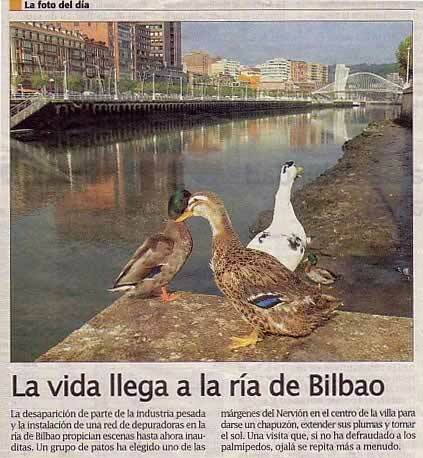 After doing the geopathic clearing of the city, and activating the harmonizers the city went so clear the next day, it was on the front page of the newspaper there. Program began in November, 1999 with 6 harmonizers in the area. Whales came into the Cape Town harbors in record numbers and a full month ahead of their normal schedule. Program began in August, 1998 with 10 environemental harmonizers. Within a month of initiating the program, the PSI went from high 60?s to an average of mid 20's. Program was discontinued due to lack of funding in 2000. No ceremony or grid activation was used in this experiment. Program began in March, 1999 with three harmonizers. 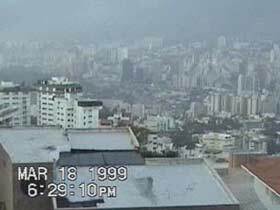 Visual clarity of atmospheric pollution reduced dramatically within two days of utilizing the harmonizers with no other changes in weather conditions to account for the change. Approach: Program began with three harmonizers in January, 1998 and sacred ceremony in and throughout Corpus Christi. Results: The red tide was so bad prior to the initiation of the program that on certain days if wind conditions were not favorable, people working in the neighboring factories had to cancel work. After 2 months of using the harmonizers, the red tide was gone, brown foam on shoreline gone, water color changed from reddish brown to teal green, and the dead fish were gone from the shoreline. Program discontined due to lack of funding in 2003. In September 1, 2008, a group got together via teleconference to do a meditation and clearing for the approaching hurricane. Within one hour of our teleconference, the hurricane dropped from a class 4 to a class 2, and by the next day was downgraded to a tropical storm! A group of 22 people came together via teleconference to work with Hurricane Gustav in September 2008. There were no physical tools in place, and the group focused its focused solely on using a ceremony to shift the quantum field to allow for new possibilities of an outcome. The results were an immediate drop from class 4 with winds of up to 145 mph to class 2 within an hour after the teleconference. The following morning a second group came on , and the hurricane dropped even further to a class 1. By the time it reached land, it was only heavy rain, much to the surprise of the Republican National Convention which had moved to New Orleans to report on the situation. Wikipedia report: Hurricane Gustav (pronounced /ˈgʊstɑːv/) was the second most destructive hurricane of the 2008 Atlantic hurricane season. The storm was the seventh tropical cyclone, third hurricane, and second major hurricane of the season. Once into the Gulf, Gustav gradually weakened because of increased wind shear and dry air. It weakened to a Category 2 hurricane and remained at that intensity until landfall on the morning of September 1 near Cocodrie, Louisiana. Weakening continued, and Gustav weakened to a tropical storm that evening and to a tropical depression the next day as it meandered around the south-central US. 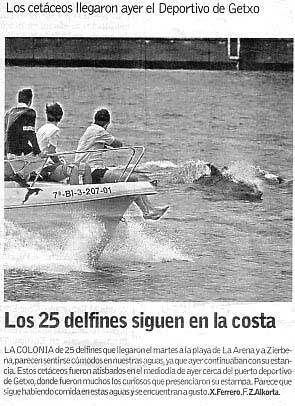 Program started October, 2002 group of kinesiologist and the area saw a marked reduction of terrorist activities from ETA, and an unprecedented sighting of dolphins in the Atlantic off the coast, for the first time in over three decades. Approach: Used orgone extensively at key grid points. Performed space clearing ceremonies at several areas in the city and along the river. Had 3 environmental harmonizers operational in the city. Results: Draughts were broken and weather patterns returned to more normal state within two months of working with the harmonizers and the devas of the area. 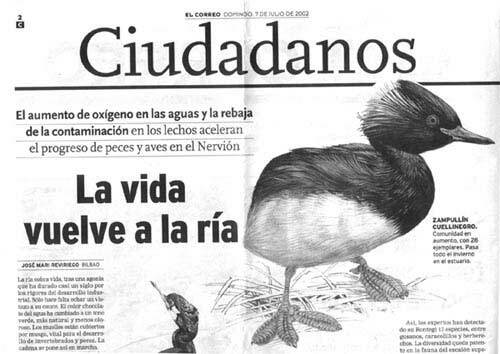 Also newspapers reported the life in the river in Biblao returned with improved oxygen levels and increased bird life. Unknown if program is still operational. Approach: Program started with only two environmental harmonizers in October 2002. Augmented by also working with the power points of the area and space clearing ceremonies with the devas of the area. Used 18 orgone cones throughout the island at key energy points. Results: Severe draught conditions broken within two months and rainfall above that experienced in decades. Dolphins sighted in the Mediterranean for the first time in 50 years. *NOTE I spent more than a month doing extensive work throughout the whole of Mallorca. It was only AFTER I left the island that I discovered it was home to the NATO base where the US was using to refuel the planes enroute to Iraq was located in Mallorca! It was only with Spain's cooperation that the US was able to invade Iraq. If you would like to know more about how to help the Earth in this way, consider joining the Earth Response Team teleclass series starting September 15th.